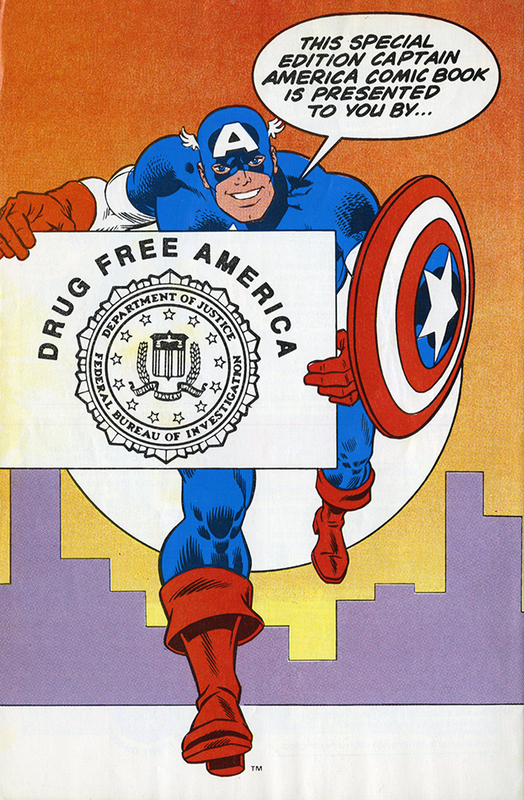 1990 giveaway comic book published by Marvel Comics in cooperation with the Federal Bureau of Investigation. 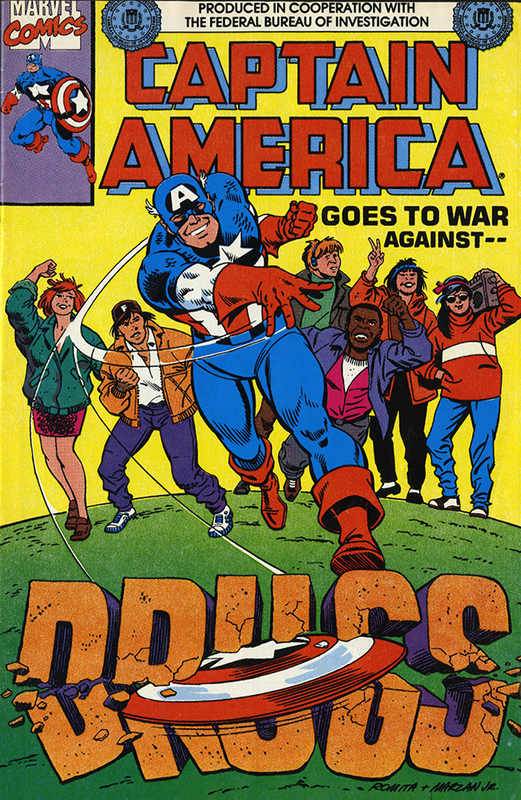 Captain America helps a young baseball player who has come under the influence of an alien and turned to illegal drugs. 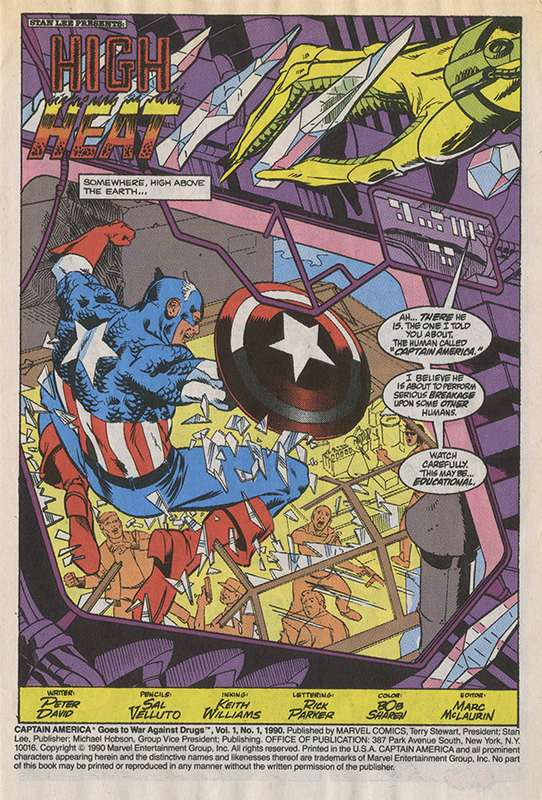 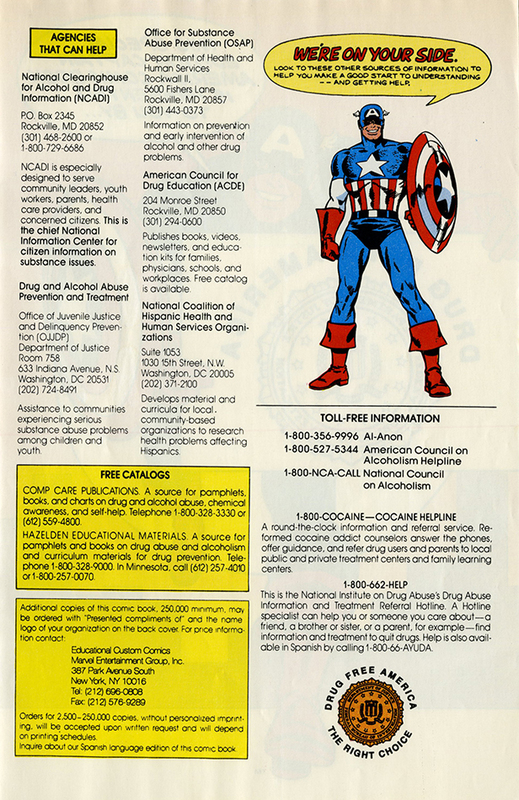 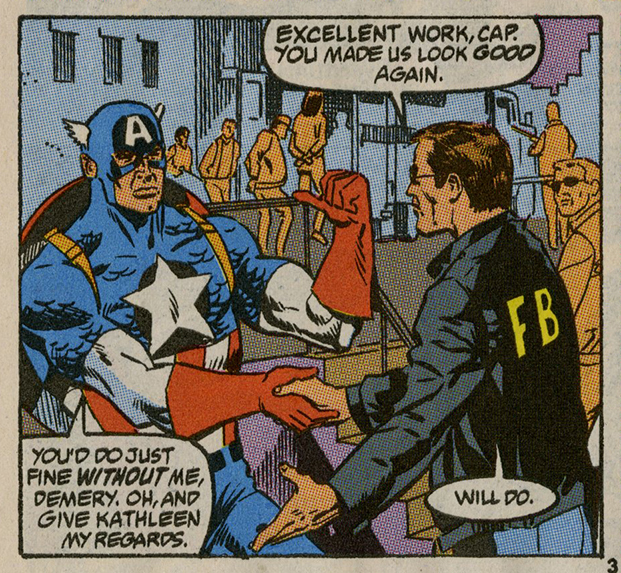 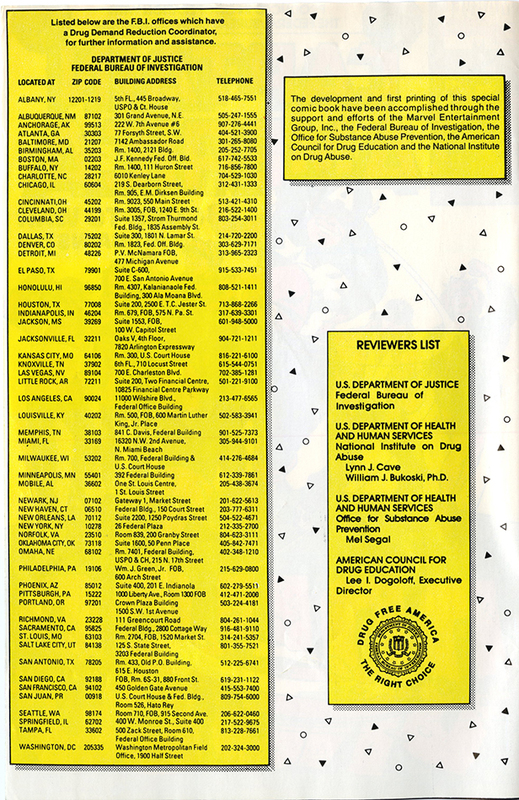 “Captain America Goes to War Against Drugs, No.1 April 1994: High Heat ,” Social Welfare History Image Portal, accessed April 26, 2019, https://images.socialwelfare.library.vcu.edu/items/show/352.